Mind the hype: Is meditation all it's cracked up to be? 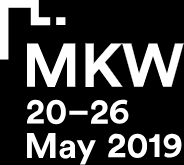 Melbourne Knowledge Week is committed to reducing its impact on the environment and will be certified carbon neutral for 2019. This means we will measure the festival’s carbon emissions and implement actions to reduce them. Then we will purchase offsets on your behalf to cover the remaining emissions and achieve carbon neutrality. Your contribution will go towards a range of offset projects including a reforestation project in NSW and a project which enables Aboriginal communities to reduce emissions through improved land management practices in the Kimberley.